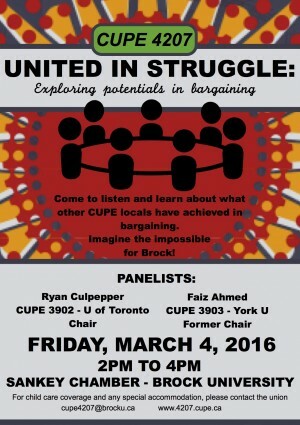 Come to hear experiences of the two most successful academic locals representing precarious membership, just like us! There is much to be desired in our collective agreement with the university to approximate the respectful working conditions that we all deserve! We will take discussion to one of the downtown pubs (TBA) after this event for an informal social.